MOVE IN READY HOME IN A HIGHLY SOUGHT AFTER NEIGHBORHOOD - NEW ROOF, NEW AC 2018! 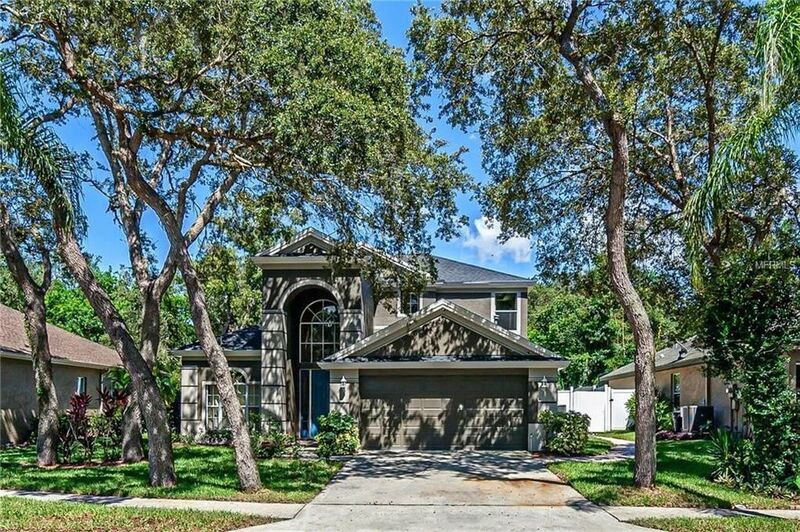 Enjoy peace and tranquility in the tucked away community of Grassy Pointe, yet you are close to everthing including beaches, The famous Sponge Docks of Tarpon Springs, Restaurants of Historic Downtown Palm Harbor, Fred Howard Park and the Pinellas Trail. This two story home is well maintained and ready for your enjoyment. With a a floor plan that includes a downstairs Master suite, plus a another first floor bedroom, bath and laundry. Upstairs includes a loft, 2 more bedrooms and a 3rd bath. The living space is open and spacious with an updated kitchen centrally located between the family room, living room and dinning area. The home opens to a private screened pool area with spill over faountain. A 6 Ft fence provides privacy and no rear neighbors. Recent home enhancements include NEW ROOF, NEW AC and NEW EXTERIOR PAINT plus NEW SOD and LANDSCAPING. As an added bonus this home was originally the model so the Garage is duct and fully Air Conditioned. If you are looking for a wonderful home in a great community and highly sought after location - this home offers all that and so much more. Come take a look and make this your new home! Directions: Klosterman just west of Alternated 19 to Right at entrance of Grassy Point to Right on Longview to Address.